Reporting results in a scientific journal is a process common to researchers in all disciplines. However, many scientific papers fail to communicate research work effectively. Pitfalls include using complicated jargon, including unnecessary details, and writing for your highly specialized colleagues instead of a wider audience. Effective research articles are interesting and useful to a broad audience, including scientists in other fields. This infographic presents tips to help you write papers people will want to read. Elsevier Publishing Campus: Elsevier’s new online training center includes instruction on writing for books and journals, peer reviewing, grant writing, ethics — and how to get your research noticed. Read more. Research4Life Training Portal: A platform with free downloadable resources for researchers. The Authorship Skills section contains 10 modules, including how to read and write scientific papers, intellectual property and web bibliography along with hands-on activity workbooks. Career Advice portal of Elsevier Connect. Stories include tips for publishing in an international journal and "Eight reasons I rejected your article." Writing in the Sciences: An online course by Coursera that teaches scientists to become more effective writers, using practical examples and exercises. Topics include principles of good writing, tricks for writing faster and with less anxiety, the format of a scientific manuscript, and issues in publication and peer review. A similar version of this infographic was appeared on the Research4Life blog. Natalia Rodriguez (@rodrigueznats) is the Communications Coordinator for Research4Life, a public-private partnership providing access to scientific information to researchers, academics, students, doctors and other professionals in the developing world. Natalia holds a BSc in biology and an MSc in science communication from Delft University of Technology in the Netherlands. Before joining Research4Life, she worked in the Elsevier's Global Communications department in Amsterdam. 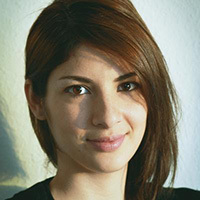 Currently based in Bremen, Germany, Natalia also works as a freelance creative for different organizations, finding innovative ways to communicate science and development.